The mother of Hadar Goldin, whose body is held by Hamas in the Gaza Strip, burst into tears on Wednesday at the State Comptroller's Committee hearing on the comptroller's report on Operation Protective Edge. 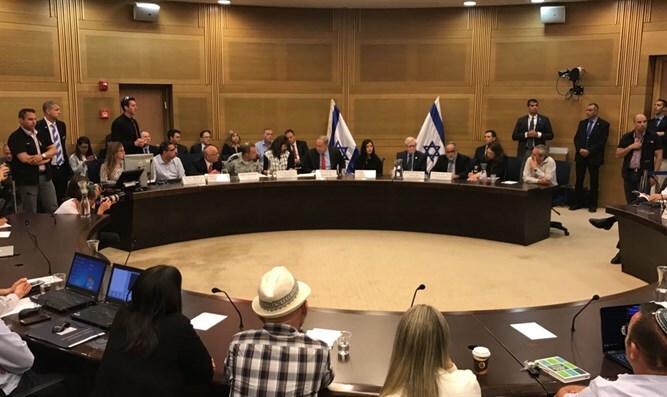 Dr. Leah Goldin criticized State Comptroller Yosef Shapira and hurled words of pain at him: "The comptroller's report forgot or made sure to forget, two outstanding soldiers: my son Hadar Goldin and Oron Shaul, who were kidnapped into the tunnels. It was important for the comptroller to emphasize that a foreign worker was killed. But the two prisoners in Gaza were not mentioned. You can not call Hadar and Oron corpses, they are not corpses, they are missing."